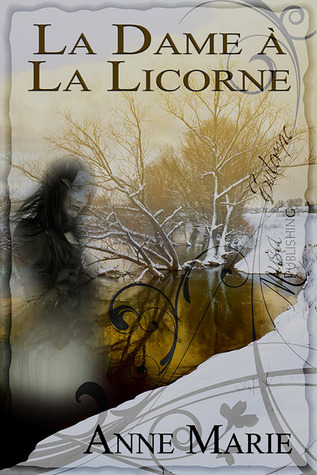 Beautiful and masterfully written, La Dame à La Licorne is an amazing, albeit short, read. I absolutely and wholeheartedly love it! This is probably one of the toughest reviews I’ve ever had to write, because there’s not much I can say without giving away the story, especially with it being so short. The story takes place in France, in 1875, with Katherine as the MC. Beginning with the first paragraphs, there’s an ominous atmosphere and a sense of mystery surrounding the storyline, that undeniably draws you in. This, and getting teased about what was and what will be, made for a fabulous read. Katherine might be a good girl, but she’s not blindly obedient. She does what she does because she wants to, not because she has to. A likeable character, she proves to be brave and smart. I like that Marie doesn’t spell out anything for her readers, she never gives a proper explanation as to who, exactly, Katherine and her pappa are and what they do. Instead, you’re left to draw your own conclusions, which is great, for showing is always better than telling. I found the lore to be unusual, a welcome change, and interesting. It came as a bit of a surprise, too, which speaks volumes about my powers of observation and deduction, yes. However, Marie’s real forte is her writing. Written in a first person narrative, from Katherine’s POV, La Dame à La Licorne is lovely, captivating and enchanting. There’s a certain elegance in Katherine’s narrating voice, a cadence that I can almost imagine and hear, that gives this story a very authentic feel. Also, any author who can make me feel for her MC, fear or like the other characters, in 17 short pages, is a great one, in my book. Truly the only issue I had with this short story is that it’s missing something. 300 or more pages, something. If you’re a fan of beautifully written fantasy, definitely read this. *I received a review copy from the author. In no way did that influence my review. No money or favors were exchanged.